There in Russia the masters are big gas, transport and energy corporations, closely concerned with the state, and more independent oil, engineering and metallurgy companies. Banking, insurance and mass media are highly overridden by the state too. Foreign capital has some positions in oil industry, but especially in pulp & paper, confectionery, brewing and tobacco sectors, and also in retailing. Recently rising Russian business drives dilative expansion to the abroad, first to the ex-USSR republics, which considers as his “hunting grounds”. Power supply systems of many of them are under full control of the new Russian imperialism. With a brigandage Russia has managed to annex some small territories of Kazakhstan (the takeover of islands Ukatny and Zhyostky in Caspian Sea) and Ukraine (the repartition of Kerch Strait). The war-mongering in the North Caucasus (suppression of Chechen separatism, misusing of the dividing of Ossetins etc.) is meant for the pressure on Georgia. Public utilities pay (granted by the state earlier) is being put to the total-lot level. Appointment of regions’ governors by election has been abolished. Rights of un-Russian nations (composing a fifth of the total population) are being infringed. The poorest nations here are not Russian but Nohchi (Chechens) and Galgai (Ingushes), Buryats, Komi-Perm, Evenks, Halmg (Kalmyks), Mari, Tuvinians, Dagestan peoples, Koryaks, Chukchi, Erzya and Moksha (Mordvinian peoples), Chuvashes. Cultures and languages of many of them are under the mortality threat while plans of elimination of national autonomies are advancing (Komi-Perm autonomous district has been eliminated already). Driving national oppression the ruling class relies on widely spread Russian nationalism. According to public opinion polls, nearly half of the population considers that “ Russians must have more rights ” or even “ Russia must be the state of Russians ” (“ Russians ” here means not the population or citizenry of Russian Federation (“ rossiyane ”) but the sole Slavic nationality descended from the old Muscovites (“ russkiye ”)). Only 20 per cents oppose toughening of arrangements against migrants from Transcaucasian and Central Asian countries (migrant workers to a degree). At the same time Russian people itself has no nation unity. Capital city Moscow concentrates huge riches and powers while the provinces partly are in the same misery as ethnic regions – i.e. Ivanovo, Chita, Kurgan, Amur, Primorye, Novosibirsk, Ulyanovsk, Leningrad (region around city Saint-Petersburg), Tver, Kaliningrad (former German city Königsberg), Kaluga regions. Actually, these un-Russian and Russian poor regions compose the internal colony of the Moscow hegemony. Striking was a significant phenomenon in years 1995–1999 but later (when economic boom started) came almost to naught. Development of new trade unions stopped (old unions which are the heirs of Soviet ones is actually social security offices attached to factory administrations). However walkouts, hunger-strikes, vigils and traffic blockades periodically happens on the grounds of backpays or underpays, lock-out or dismissals without lay-off pay. Commonplaces are actions of municipal economy workers. This sector suffers also from the disastrous deterioration of equipment (this is a huge problem in view of the severe climate which is typical in the most part of Russia). Periodically all the country is enveloped with tide of students and lecturers in defense of free education, of school and medical workers demanding salary increase and improvement of work’s conditions. The centers of actions in autumn, 2004, were Irkutsk region and Kamchatka, Chernozem, Volga and Ural regions. Among the left the most marked is the Communist Party of Russian Federation (Gennady Zyuganov), which has 47 of 448 seats in the parliament. 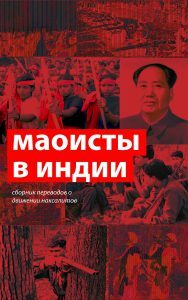 Ideologically it is a successor of the CPSU and is hardly affected with bureaucratism, chauvinism and clericalism. (For example, on January, 2005, the CPRF’s vice-chairman V. Kashin and several other bosses signed an address to the General public prosecutor with the request “ to ban every religious and ethnic Jewish associations in our country as all them are extremist ”.) Periodically it is shaken with shames of its functionaries’ deserting to President Putin’s regime. Its aged membership is shrinking. 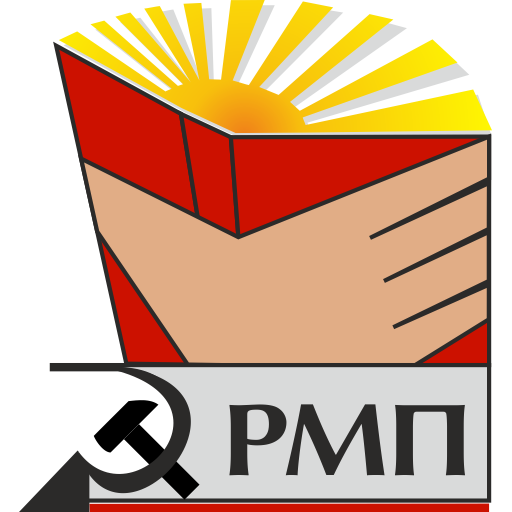 Besides the CPRF there are a number of parties descended from various platforms in the CPSU. The most known of them is the RCWP–RPC (Victor Tyulkin). The nearest to Marxism-Leninism of them is the CPSUB (Nina Andreeva), but it has not overcame Brezhnevist heir and great-powerist influences too. To the left from these parties are plenty of small groups – Trotskyists (three splinters of the Revolutionary Workers Party and the Committee for the Workers’ International), Hoxhaists (Proletarian Paper group), Maoists (the Russian Maoist Party) and New Left (Revolutionary Alternative, New Resistance, Red Uprise groups). These groups suggest widely varied ideological doctrines, but their political positions frequently are rather close.